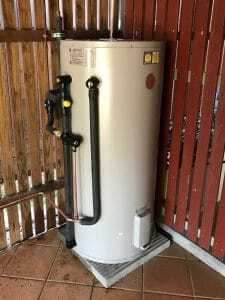 Rheem Service Brisbane – Installation, Service & Repair. 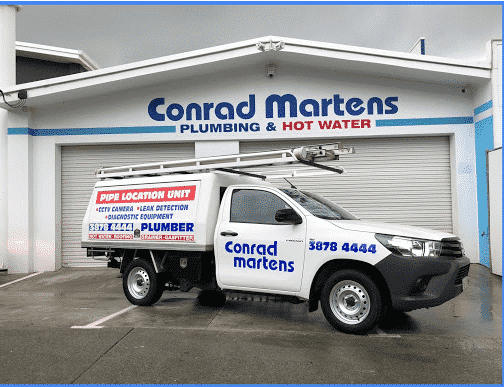 Conrad Martens Plumbing & Hot Water are Rheem’s preferred plumber for the Brisbane area. Our hot water specialists regularly undergo technical service training and are kept up to date with the latest product knowledge. We carry plumbing, gas and restricted electrical licences, which allows us to diagnose and rectify any faults which may occur. Conrad Martens Plumbing provide first class and affordable service for all your hot water needs. – The Rheem “preferred plumber” for Brisbane and surrounding areas. – We guarantee to beat any written quote for Rheem Installation. – Our service technicians carry multiple licences (plumbing/ gas/ restricted electrical). – We undergo regular technical service training with Rheem manufacturing. – All installations come compliant with a Form 4 and electrical certificate of test. – We only use authentic valves, fittings, lagging and insulation. – We install electric storage, gas storage, continuous flow and heat pump water heaters. – Affordable and reliable service backed by Rheem. – Same day service across Brisbane. – Our team of skilled technicians are highly trained and licenced to repair all Rheem, Aquamax, Vulcan and Everhot units. – Our dedicated hot water specialists carry a wide range of authentic Rheem spare parts. – No need to engage multiple contractors. Our technicians hold plumbing, gas and restricted electrical licences. Rheem have set the benchmark for quality water heaters in Australia. The logo has become synonymous with hot showers and reliability. Rheem have pioneered a range of durable technologies which have stood the test of time in the Australian household. Their current product range includes electric water heaters, continuous flow and gas storage water heaters, heat pumps and solar systems. Rheem’s diverse catalogue includes hot water systems suitable for any family size and budget. Recent innovations by Rheem Manufacturing include the introduction of Stainless Steel Tanks. The Rheem Electric Stellar range boasts an industry leading 12 year warranty. The new tank design boasts an anode-less design with higher heating capacity and increased thermal efficiency. Rheem’s tanks have never been more durable and efficient. The Rheem 6 star gas continuous flow units are compact gas water heaters capable of efficiently heating large volumes of water. 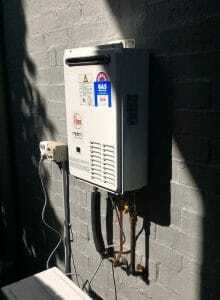 Queensland consumers are always on the hunt for reliability and price. Although Brisbane residents have relatively low demand compared with our southern neighbours, we never want to go without hot water. The Rheem Metro continuous flow range is a perfect fit. These units are affordable and capable of producing hot water on demand. Rheem Metro water heaters are available in Natural Gas or L.P.G. ranging from 16L and 26L capacities. For homes with higher demand, or light commercial purposes, the Rheem Stellar 330 and 360 units are our unit of choice. These versatile, high-demand water heaters have proven the test of time as one of Australia’s best selling units. – Purging temperature & pressure relief and cold water expansion valves. – Clearing rust and debris from the burner. – Draining sediment from tank as required. – Testing the operation of thermostat and gas valves. – Testing water service supply pressure. – Configuring the static and operational gas pressure. – Checking the operation of piezo/ electronic ignition. – Testing for any leaks or vulnerabilities in the system. 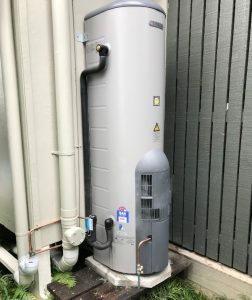 The Rheem 491 and 191 vitreous enamel storage tanks are Australia’s most popular water heaters. The simple yet reliable design can be found in the majority of backyards across Brisbane. Electric hot water systems use a thermostat and element to heat water which is stored in a steel tank. Rheem have a wide range of sizes available including compact 49, 50,80,125, 250, 315 and 400L. Standard Rheem tanks are a vitreous enamel coated steel which come standard with a durable protective anode. The Rheem Stellar electric consists of a stainless-steel construction tank, high-performance thermostat and incoloy element. This line superseded the now discontinued Rheem Optima. Rheem Stellar are the most durable product on the market and come standard with a 12 year warranty. Conrad Martens Plumbing & Hot Water provide same day reliable service. You can reach us on 07 3878 4444 or via email at office@conradmartens.com.au. To discuss your installation, or enquire about a quote, just ask for one of our Rheem hot water specialists.